You’ve finally decided to get that tummy tuck, and you’re diligently researching cosmetic surgeons to find the perfect doc. You’re scrutinizing each doctor’s training, experience, patient reviews, and before and after photos—but have you thought about where they operate? When it comes to a safe, successful cosmetic surgery experience, a good doctor is key, but where you’ll be having your procedure also matters. Before you book any procedure, you need to make sure your cosmetic surgeon operates exclusively in accredited surgical facilities. The operating room has everything needed to respond quickly and appropriately in life-and-death situations. This not only means that the OR has up-to-date, reliable equipment for resuscitation and other life-saving techniques, but also that there are adequate trained, licensed personnel present to help in an emergency in addition to the staff assisting during surgery. They also must have clear, effective procedures in place for handling emergencies. The facility is clean and up to code. 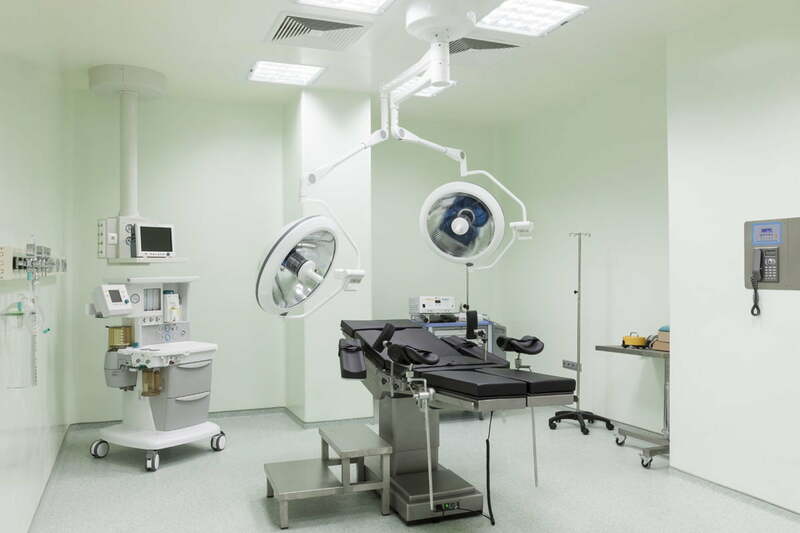 The importance of having a clean OR is obvious, but considering the equipment used to perform your procedure and monitor your anesthesia, it’s important the facility has reliable electricity with backup power, just in case. Being “up to code” also means people can safely get in and out of the space, there is proper lighting, and other basic requirements are met. Staff assisting your surgeon are licensed and qualified to perform their jobs. While TV often portrays support staff simply handing a surgeon a scalpel, in real life your nurses, surgical technicians, and anesthesiologists all perform essential tasks to ensure a safe, successful procedure. This is especially crucial when it comes to anesthesia services, when proper administration and monitoring can truly mean the difference between life and death. In an unaccredited facility, there is no guarantee that staff assisting the surgeon have any medical training at all! Your cosmetic surgeon has a valid, unrestricted medical license. If a surgeon performs surgery in their office or another unaccredited facility, this is a red flag that they have had their license or operating privileges suspended and have no other choice. Your privacy is protected. Laws such as HIPAA protect your personal healthcare information from reaching the wrong hands; accredited facilities demonstrate they comply with these laws. The facility is not a fly-by-night operation. A surgical facility must be open for a several months before it is eligible for accreditation to ensure it is reputable and well run. Now let’s discuss what “accredited surgery center” means. What exactly is facility accreditation and who verifies it? Accreditation is a voluntary process that hospitals, outpatient surgery centers, and other healthcare facilities go through to prove they meet certain standards for cleanliness, safety, equipment, and personnel. You might think of it as “board certification” for operating rooms. As their names imply, AAAASF and AAAHC issue accreditation for ambulatory surgery centers (i.e., outpatient surgery centers or private surgical suites within a surgeon’s practice). The IMQ also accredits ambulatory surgery centers and office-based surgery practices. The Joint Commission is the major accrediting body for hospitals, and also accredits outpatient surgery centers. You can read more about each accrediting body here. A fifth agency, Healthcare Facilities Accreditation Program (HFAP), is run under the Center for Medicare & Medicaid Services (CMS). Its primary role is ensuring facilities that participate in Medicare are compliant with CMS regulations. Facilities that work with Medicare/Medicaid patients typically seek accreditation by HFAP in addition to one of the above independent agencies. In addition to these five, there are numerous highly reputable accrediting bodies across the U.S. that operate on a state or regional level, and your cosmetic surgeon’s facility may be accredited by an agency other than the above. As a rule of thumb, an accredited body that is approved by the state medical board where a surgeon operates can be considered acceptable. Choose an American Board of Cosmetic Surgery (ABCS) board certified cosmetic surgeon. It’s mandatory for ABCS surgeons to operate in surgical facilities or hospitals accredited by AAAASF, AAAHC, IMQ, The Joint Commission, or another accrediting body approved by their state’s medical board. Look for the accrediting agency listed on a surgeon’s website. Most cosmetic surgeons understand the importance of this to patient safety and proudly display their surgical facility accreditation. Look for one of the main accrediting agency logos or written details about the accrediting agency. You can also verify accreditation by asking for the name and address of the surgery center and then look it up on the accrediting agency directory. Click here for AAAHC, and here for The Joint Commission. You’ll have to call or email for a list of AAAASF accredited facilities or IMQ accredited facilities. Hopefully after reading this, you have a better idea about the importance of facility accreditation and feel better prepared to make safe, confident choices about your cosmetic procedure. If you have any questions, please contact us at the American Board of Cosmetic Surgery.